When Main Contractors were tendering the work for Pier B they were told by AIAL they had less than a year to complete the structure, and it wasn’t yet designed! 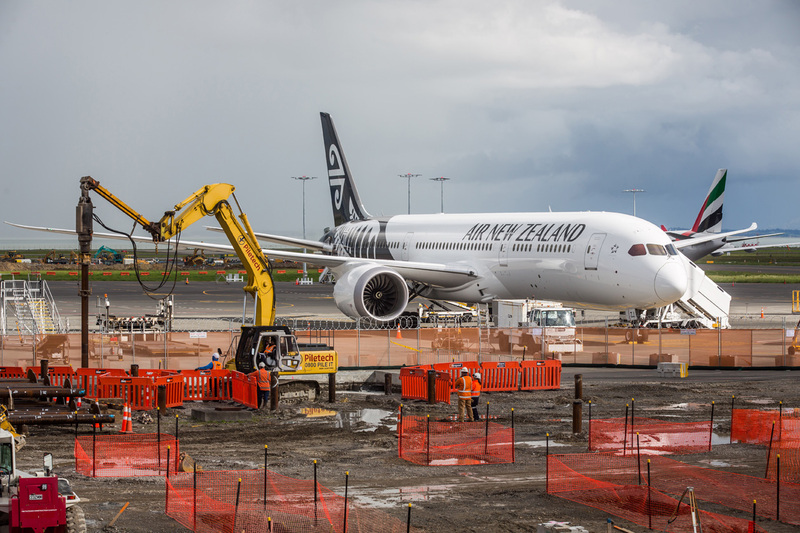 Hawkins told their client that if they wanted any realistic chance of achieving such a lofty goal – Piletech must be brought on immediately as a negotiated subcontractor. 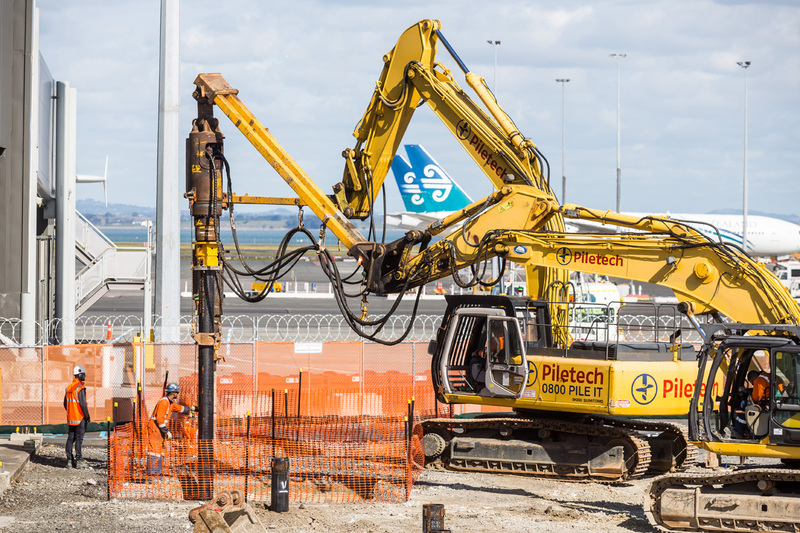 When piling around the Auckland Airport region – Piletech know the ground conditions better than the client themselves. 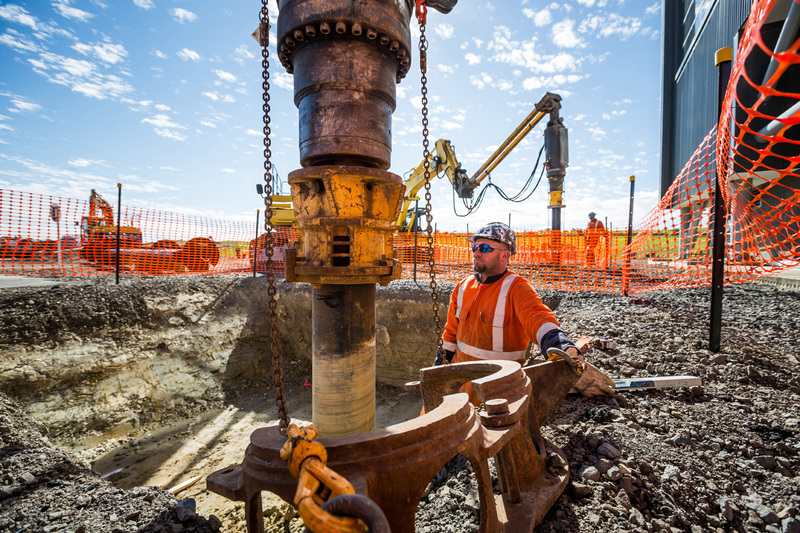 A screw pile is tailor made to cut through the soft overlying mud, and cut into the dense sandstones at depths ranging between 12-32m below ground. It’s this experience and ideal piling solution that have meant almost every piled structure in the last 10-12 years sits on a screw pile. 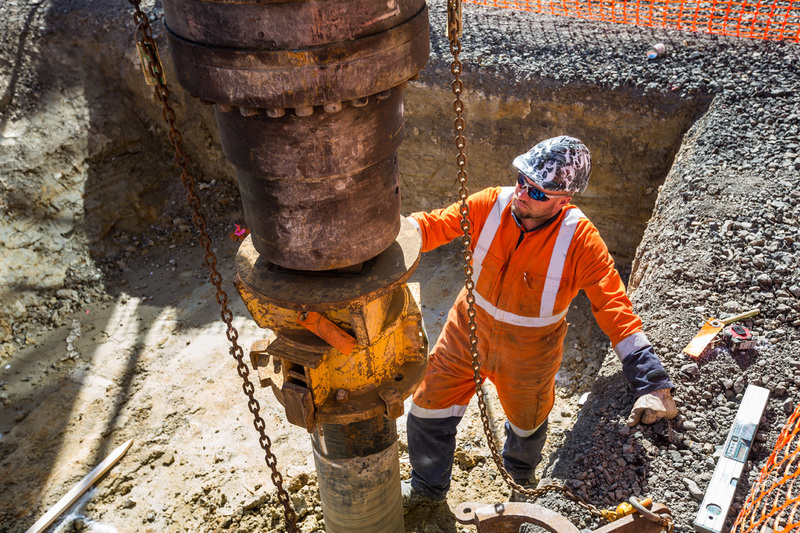 Piletech were able to assist AECOM to accelerate the foundation design process; giving advice on pile load capabilities, what specific ground investigation would yield the best overview, previous load test data. Piletech were even able to bring the Peer Review off the critical path as the load testing was undertaken. Yet the benefits of using Piletech didn’t stop once the design was complete. 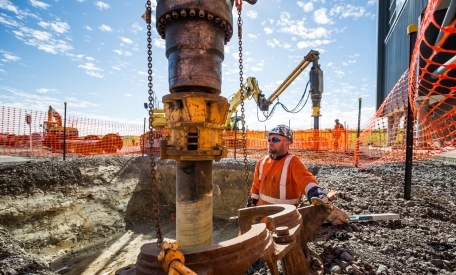 By having over $2m of pipe in stock the manufacture of over 200 piles wasn’t delayed. 2 piling rigs were also able to pull forward the programme.